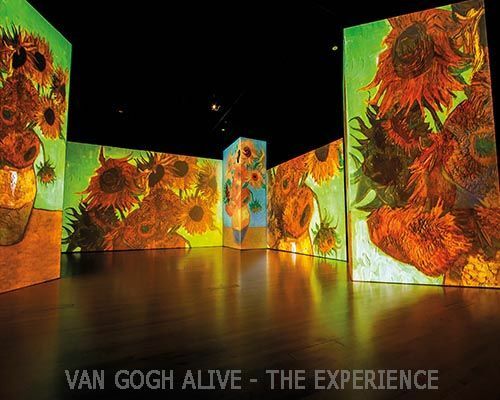 The globally acclaimed “Van Gogh Alive – The Experience” makes its way to the Thessaloniki International Exhibition Center. 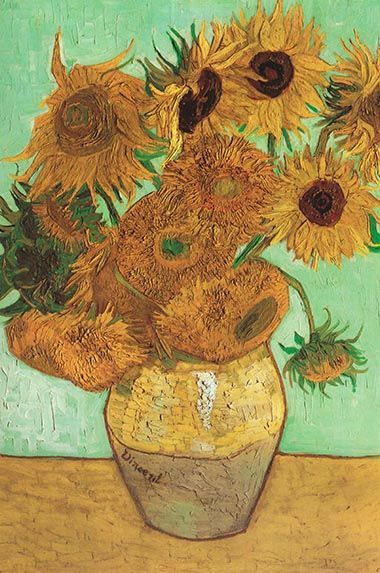 The exhibition opens on 23th November and is produced by “Grande Exhibitions” and “Lavris Ltd”. 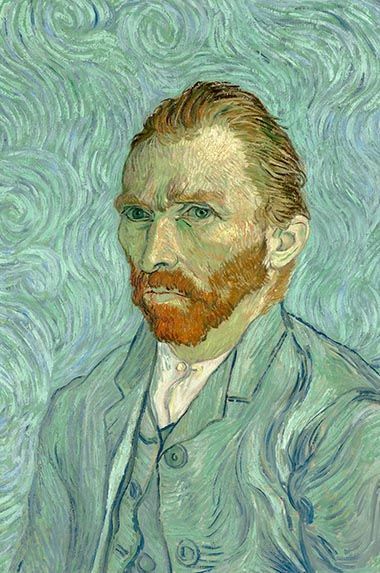 Make no mistake – this is no ordinary art exhibition. 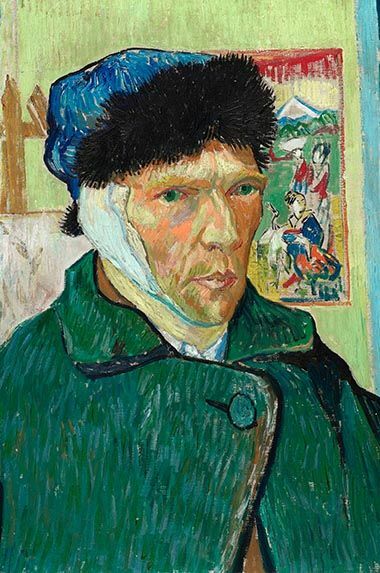 Traditions of tiptoeing through unnervingly silent galleries and viewing paintings from afar in quiet contemplation are forgotten as visitors find themselves interacting with art in ways they never imagined. 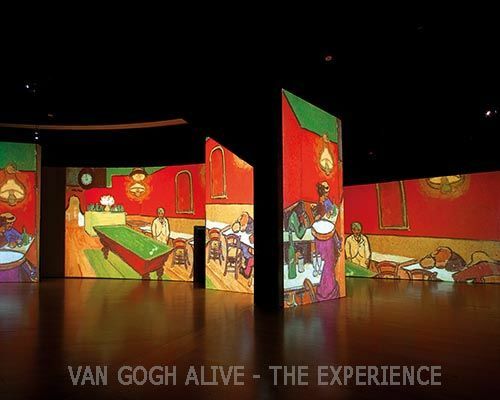 Van Gogh Alive – The Experience will stretch the definition of the word ‘exhibition’ as it stimulates the senses and opens the mind. 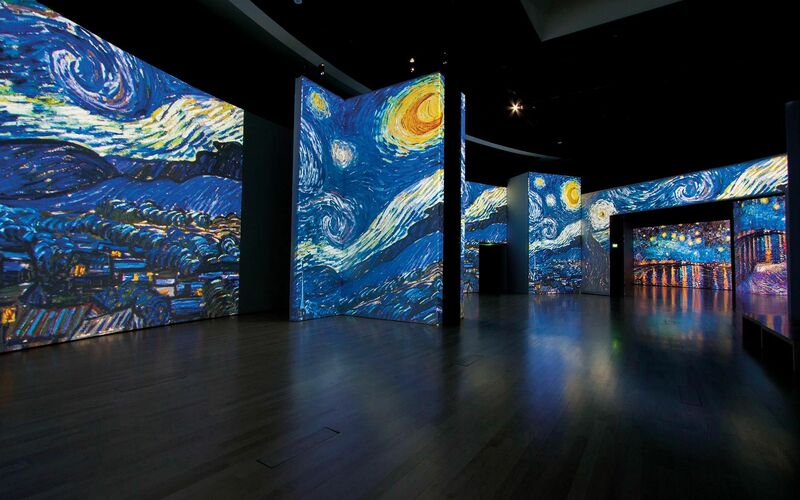 And there’s no need to worry about the kids getting bored – the exhibition caters perfectly to both young and old. 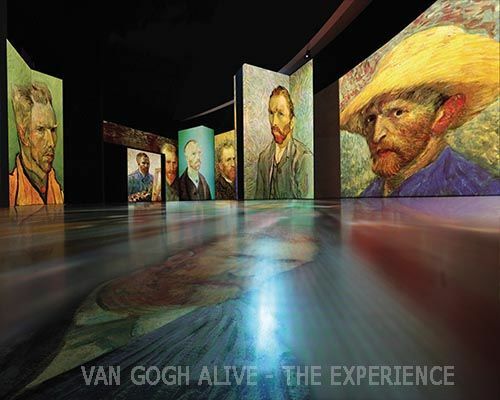 From start to finish, visitors are surrounded by a powerful and vibrant symphony of light, colour and sound that compels them to leave the world behind and immerse themselves in what has been called an ‘unforgettable’ multi-sensory experience. 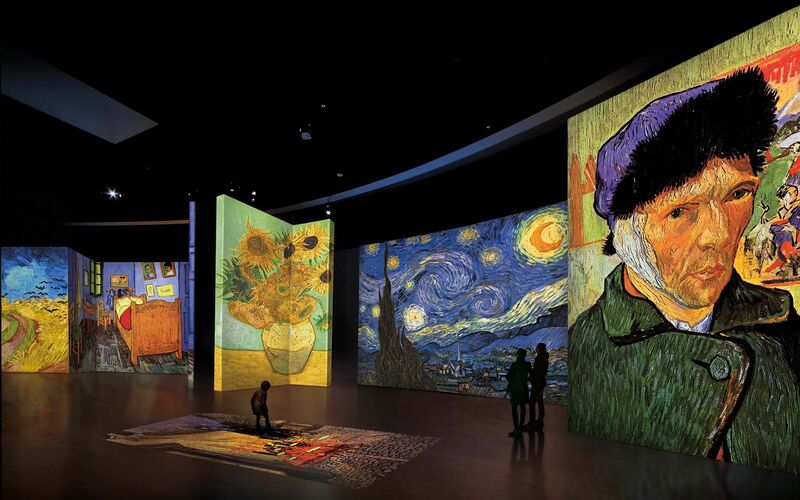 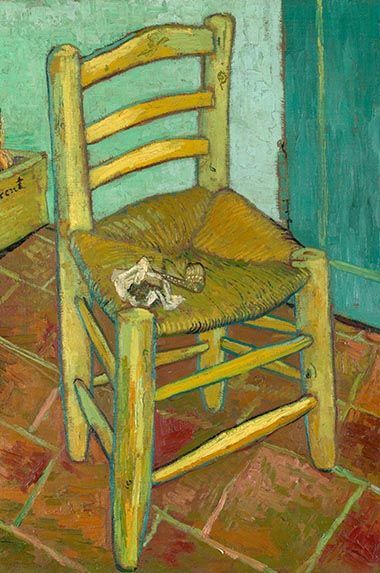 Van Gogh's masterpieces come to life as visitors experience the sensation of walking right into his paintings - a feeling that is simultaneously enchanting, entertaining and educational. 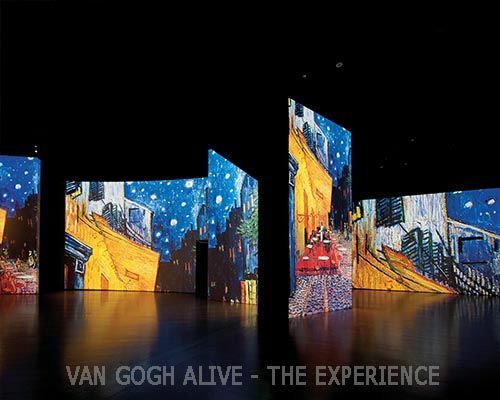 Developed by Grande Exhibitions, SENSORY4™ is a unique system that combines multichannel motion graphics, cinema quality surround sound and up to forty high-definition projectors to provide one of the most exciting multiscreen environments in the world. 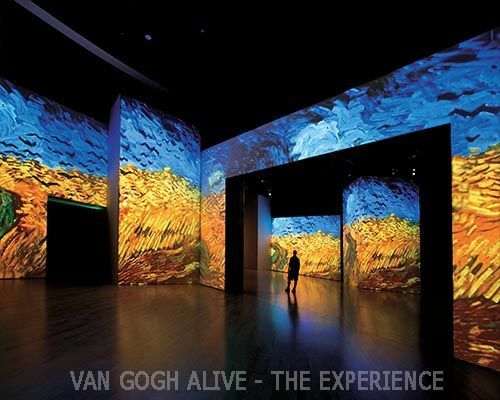 SENSORY4™ can transform any exhibition space to create a dynamic, informative and visually spectacular experience. 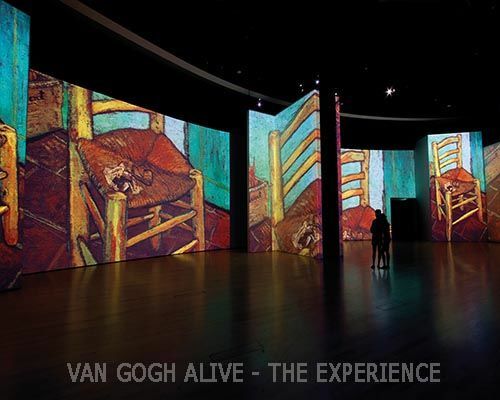 Incredibly detailed images flow through the mass of projectors and merge with digital surround sound to saturate the space in a breathtaking immersive display. 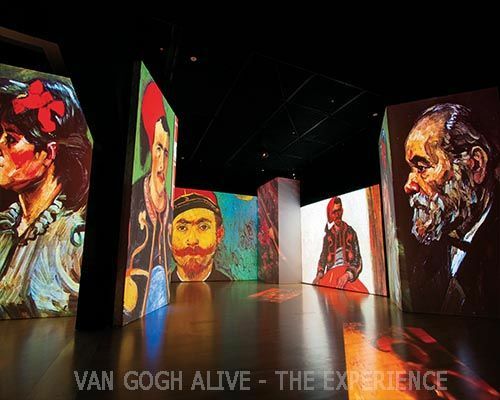 In an instant, Van Gogh Alive – The Experience will transport visitors into the world of Vincent van Gogh, immersing them in the glorious detail of his masterpieces. 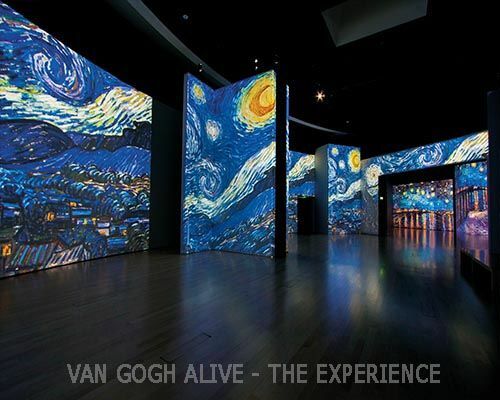 Adults and children alike will forge their own paths and find their own meaning as they wander through the galleries, exploring hidden nooks, viewing artworks from new angles and discovering unique perspectives.